Various DC & AC output voltages are available. 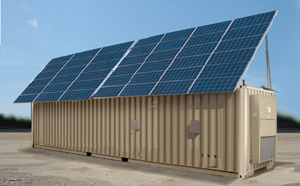 Solar Panels are integrated into container-structures offering several advantages. Solar power production: 1440 watts of solar power can be generated by each for each flexible 10' x 20' section. Systems can also use DC from military or emergency vehicles as input and optionally AC from any AC source. 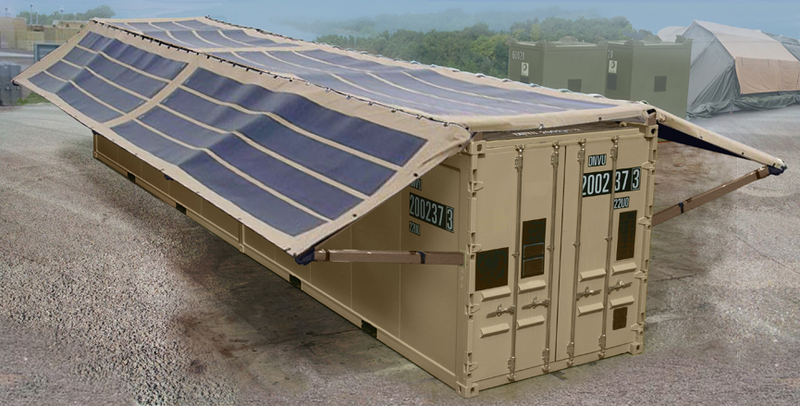 This solar covering also serves to further insulate the container from weather.